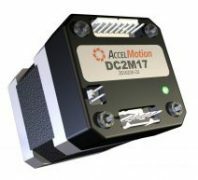 AccelMotion® DC Series of driver/controllers provide easy-to-use modular step motor control, with output phase current ranging from 2 to 7 amps at up to 80V. A consistent programming and control interface and language allows consistent operation of higher and lower drive power models, and a powerful set of I/O ports support a wide range of interface voltages and provide easily-configured special functions such as Travel Limits, Automatic Homing, manual Jog function, Stop and Go external switches, and general-purpose sensors. 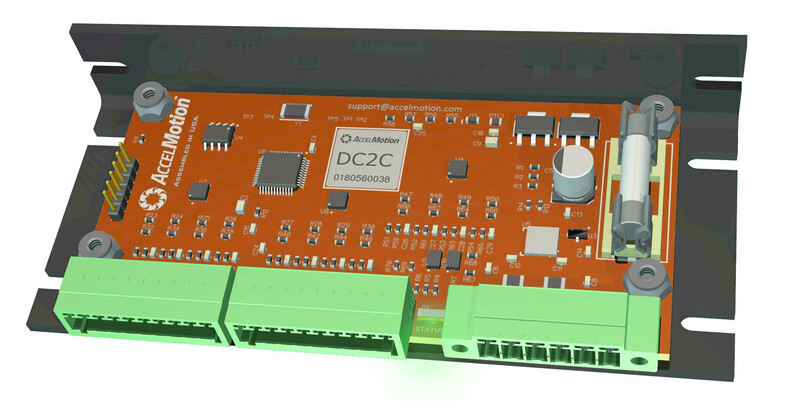 We currently offer the DC2M17 driver/controller with more products coming soon! 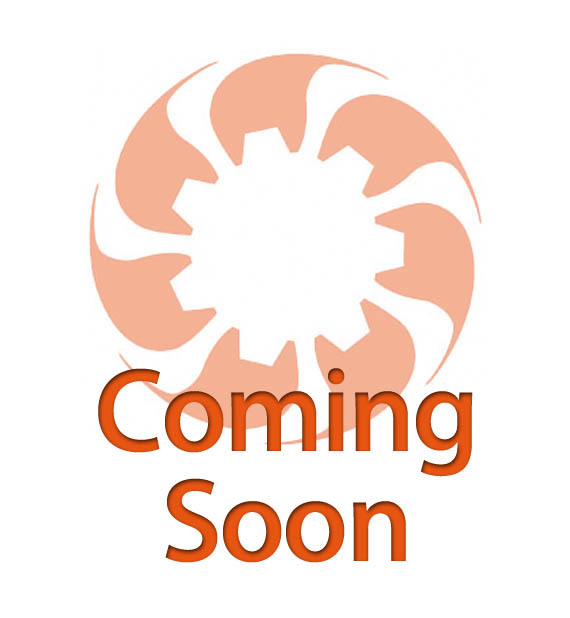 We currently are in design mode for these driver/controllers.